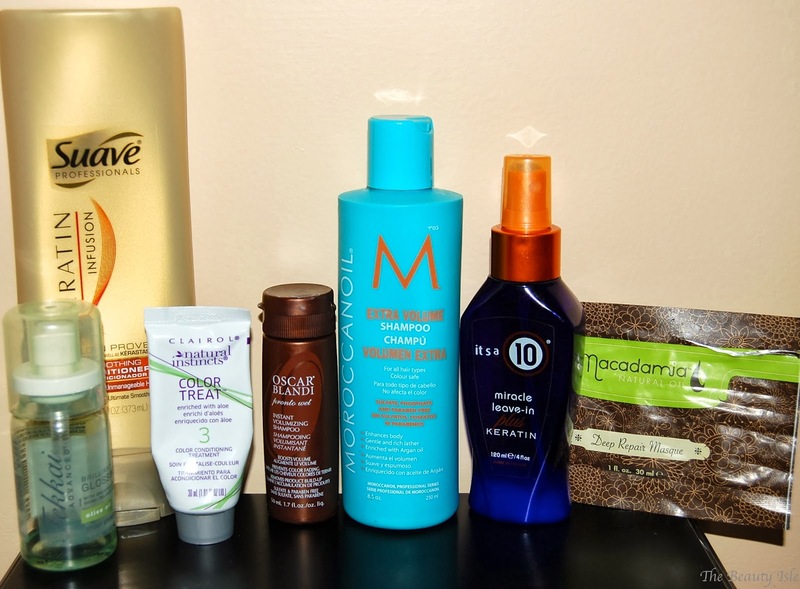 Here are the beauty products I've used up over the past few months. 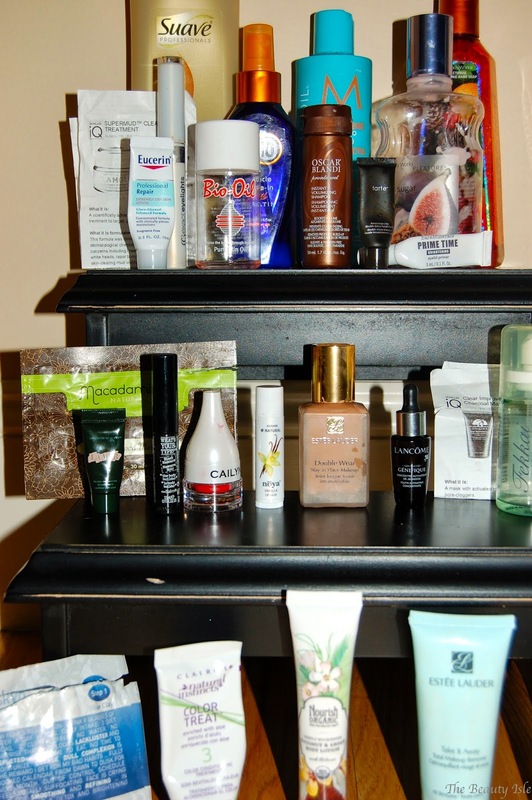 Empties are my favorite types of posts after Favorites, mainly because you get a bunch of reviews out of it! This was from their holiday collection and smells nice. I always have at least 3 backups of these hand soaps. Nice lotion, smells pretty. I've gone through tons of these Bath & Body Works lotions through the years and I will definitely repurchase. This is a very moisturizing body oil. I use it only on my very dry areas. 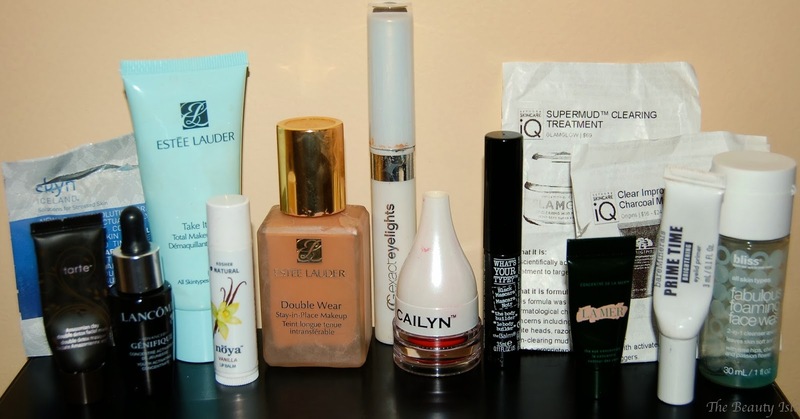 I've gone through many of these and will absolutely repurchase. I used this little lotion on my hands before bed. I would repurchase. I got this from an Ipsy bag and I don't know how it is as a lotion because I can't get past the smell. It smells like a mixture of coconut and feet! Seriously nasty. I would absolutely not purchase this. This is barely used and is going in the trash. This was a good conditioner especially considering the price. I have 2 more of these in the Moroccan oil version. This brand of hair products is my absolute fave. This shampoo smells heavenly. I wouldn't repurchase unless there was some sort of sale or special on it because Morrocanoil products are very expensive. I applied this to my wet or damp hair before air drying or blow drying. It may have made my hair easier to brush through. To be honest though, I didn't notice anything special with this product. I know it's really loved but I wasn't impressed, especially for the price ($20 I think). I wouldn't repurchase. People really love this stuff! I did like it a lot, it made my hair really soft and less frizzy. I'll probably buy another sample of this before I commit to buying the big tub of it since the tub is a bit pricey. I've gone through tons of these over the years. It smells pretty bad but it gives me a great non greasy shine. I currently can't find it anywhere but if I could I would repurchase. I think I got this an a subscription box a while ago. This is a good shampoo. Admittedly, I can't really tell the difference between a good shampoo or a bad one. It's conditioner that really makes the difference in my opinion. I wouldn't repurchase because I think this brand is very expensive. This was in a box hair dye I recently did. I absolutely love the little conditioners that come with box dyes. They are so incredibly moisturizing. I would totally purchase these if they were sold on their own. I was given a sample of this mask when I went into a Sephora to get a sample of GlamGlow. The sales girl told me this was just as good but much more affordable. The sample had enough for 2 uses. This is a decent mask. I felt cleaner and looked brighter after but nothing even close to the greatness of GlamGlow. I would not purchase. I don't have acne problems but I wanted to try this after I tried the Youthmud Mask. This was a sample that I got from Sephora that I got 2 uses out of. This mask was just as great as the Youthmud. I'm obsessed with GlamGlow masks! I purchased full sizes of both of these. I've had this primer for over 2 years because I only wear primers if I'm wearing a lot of makeup and have a long night ahead of me. At the time I felt it was a good eye primer. Then I tried the Urban Decay one and it blew this one out of the water. I would not repurchase. I received this in an Ipsy bag. I don't like or use lip products that are in tins/jars/tubs, whatever. Also, I won't use a lip brush because I just don't have patience for that. Even if I wanted to use this it dried out super quick. I would never ever purchase this. This was a good everyday mascara though I don't think it gave me a "lit up" look. It was super subtle but held my curl and gave me SLIGHT definition. I went through about 3 of these but I wouldn't repurchase because right now I have a million other mascaras I need to get through. My holy grail foundation. This is full coverage and lasts all day long. I've gone through many of these over the past 5 years. I've only recently started trying other foundations but I still love this one. I'm currently waiting for a gift with purchase promotion so that I can buy it again. Side note: I never buy makeup at counters unless there's a GWP promotion. I got this in an Ipsy bag. It was a good lip balm. I wouldn't repurchase because I have a million other balms floating around. Also, I still have never tried EOS and I really want to try that next. I had this from an Estee Lauder GWP. This felt very lotion-y and didn't rinse clean. I didn't like it so I used it to clean my brushes. I wouldn't repurchase. This was a tiny sample that came in a Tarte kit I recently purchased. There was only enough for 1 application. It was a good mask, but now that I compare everything to GlamGlow it's not as good. I wouldn't repurchase. I think this came in an Ipsy bag. I didn't like this mascara. It didn't do anything for my lashes, no drama, didn't hold a curl, and it clumped. I would not repurchase. This is a decent face wash. It took my makeup off and rinses clean. I wouldn't repurchase because there are much cheaper drugstore face washes that are just as good. I like this product and this was a decent size sample. I'd love to try a full size because I feel if I used it a little longer I would have noticed some brightening/evening effects to my skin. I wouldn't repurchase because it's really expensive and I can't be sure that it will be worth it. This was from an Ipsy Bag. It brightened up my skin a good amount. I wouldn't repurchase though because I have my beloved GlamGlow. My under eyes are a disaster right now, they are so dry and all concealers look terrible. I've been desperate so I figured it couldn't hurt to get a sample of La Mer. This tiny sample lasted me a good 4 weeks with day and night applications. Sadly, I didn't notice any difference or improvement in my under eyes whatsoever. I wouldn't repurchase which is good because this product is $185 for a jar!! Thanks for reading! That's awesome you love It's a 10 and it works so well for you! My hair IS sooooo dry and frizzy and the only thing that makes it looks really good is the Morracanoil unfortunately haha. I love reading this kind of posts, they give me a great motivation to finish up what I have instead of buy things that i don't actually need and also to use up all the samples that i've got. You have done a great job, they are really a lot of products. I should do a post like this too..
You should do an empties post, they are fun to write up and really think about if you'd buy the item again. Thanks for visiting! Thanks for the recommendations! I really want to try the Bio Oil. Where do they sell it? Oops! I messed up on my name! They sell BioOil as Walgreens and I think most drugstores and def. at Ulta. Thanks for reading! I love Empties posts too! 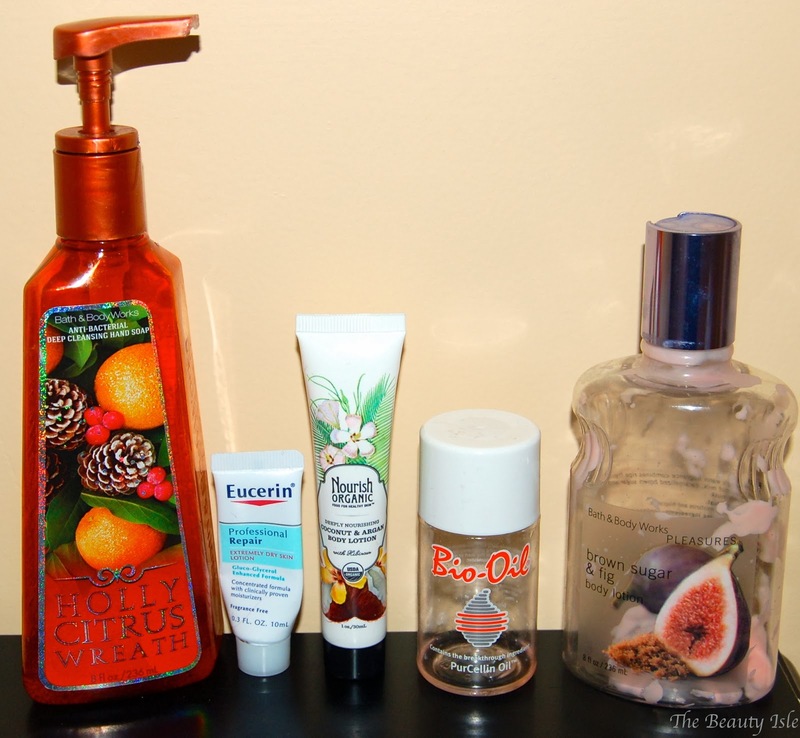 I don't go through near that many products to write a post up just yet, but I am saving my trash...lol! Although I've accidentally thrown some of it away. I hardly ever buy makeup from counters unless there is a GWP promotion, unless I'm buying MAC...they never have promotions Boo! Let me know if you hear of a GWP promotion from Estee Lauder, I really, really want to purchase that foundation! Lily, they have a GWP at Estee Lauder at Macy's right now I believe. I got a flyer in the mail. I got my Double Wear today with my GWP yay! It's totally lame that MAC doesn't do GWP or even rewards points. They do do that Back 2 MAC thing but who totally finishes products that often! Thanks for stopping by! wow you sure did use up a lot of stuff all at once. That could be a really good thing because you get to buy more goodies! or a really bad thing because you have to buy a bunch of products at once! Well I constantly buy stuff so I always have backups anyways haha. It honestly didn't seem like I went through a lot but all you guys keep saying that I did and now that I think of it...I guess I did haha! Oh wow! it looks like you used a lot of goodies this month! Seems like it haha thanks for stopping by!